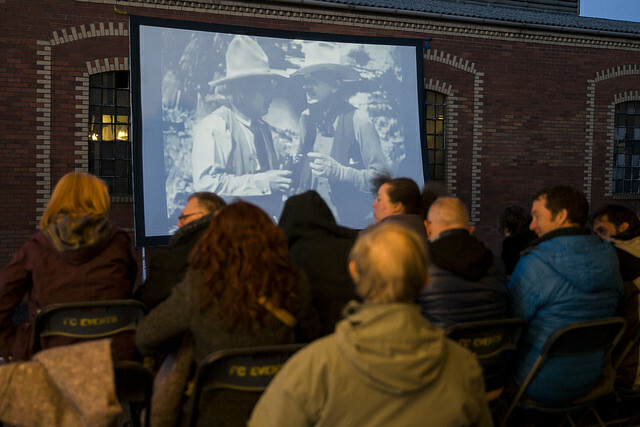 Accompanied by live music and with a touch of archive magic on the screen, a silent movie night can be one of the most unforgettable events you’ll ever attend. Ahead of our Archive Screening Day, writer, critic and founder of Silent London Pamela Hutchinson (who’ll be also speaking at our Women in Silent Film Comedy panel) shared with us her top five tips for bringing new audiences to silent cinema screenings. Silent film screenings are special. 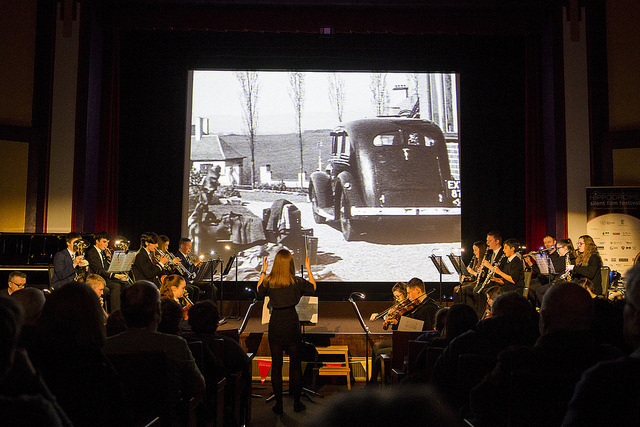 Movies from the silent era are in many ways radically different to contemporary cinema, and the traditional live music accompaniment makes every screening into an event. I have long felt that way, at least. Going to watch silent movies used to be my hobby – now it’s part of my job. In 2010, I realised there were more screenings taking place than I could keep up with, so I launched Silent London, a listings site for silent movie events in the capital. Eight years later, Silent London is still running, although I have stopped publishing the listings myself – you can now find a much improved, nationwide listings service at Silent Film Calendar instead. 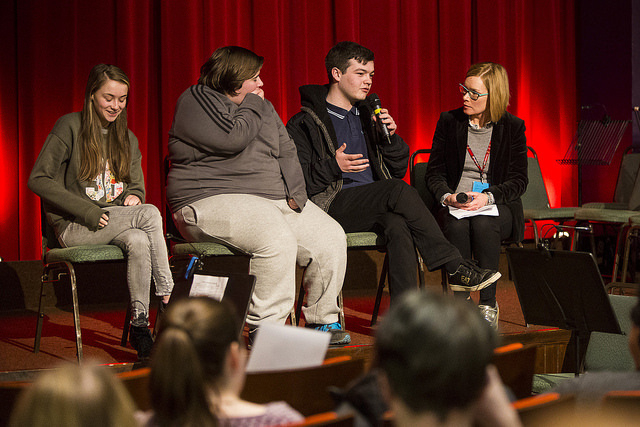 There’s a fantastic silent film community in this country, but we all know that reaching new audiences is essential to ensure the viability of running repertory events. In the past eight years of immersion into the scene I have seen almost every kind of silent film screening and I have an inkling of what works and what doesn’t. Here then, are my top five tips for bringing new audiences to silent cinema. Everyone is chasing young people’s attention, but young people are a diverse bunch, as are we all. Silent movies are fairly diverse too – we’re talking about the first four decades of filmmaking, after all. If you want to appeal outside the established silent film community, you may find it more successful to peg your silent film screening to a special interest group. Are you showing a science fiction film that influenced later cult works, or one with ties to a specific historical period or political movement? Will fashionistas be impressed by the costumes? Perhaps the production designer or the writer is as much of a draw as the director or stars, to the right people. It can be a good idea to refer to a new release or recent award-winner – after all, silent movies did most things first – and anniversaries are always eye-catching. Don’t ask me why, but public transport is perennially popular, especially trains. And boy are there a lot of great silent films about trains. If you can hire a musician with an existing following to score your film, they will bring their own fans with them, although for the most part, I’d recommend hiring specialists (see below). There are a few silent movies that have been screened so often their names look a bit stale. It’s understandable that if you want to try putting on a silent event, you’d want to draw on your audience’s pre-existing knowledge of the silent era. But that doesn’t mean you have to show Nosferatu, The Cabinet of Dr Caligari, The General or Battleship Potemkin (though they are all excellent films). Some of the most successfully marketed events I have seen mobilise what the audience already know, and extend that to a film they may not have heard of. Perhaps you are showing the original version of a film that was remade in the sound era, or an early work by a director or star who became famous in the talkies. It’s worth thinking about what people associate with the silent era: flappers, prohibition, slapstick, melodrama, and working out from there. Could you find a film that capitalizes on, or subverts, people’s expectations of the silent era? One extreme example of this is the BFI’s recent London Film Festival archive gala, which screened Victorian movies at the IMAX. 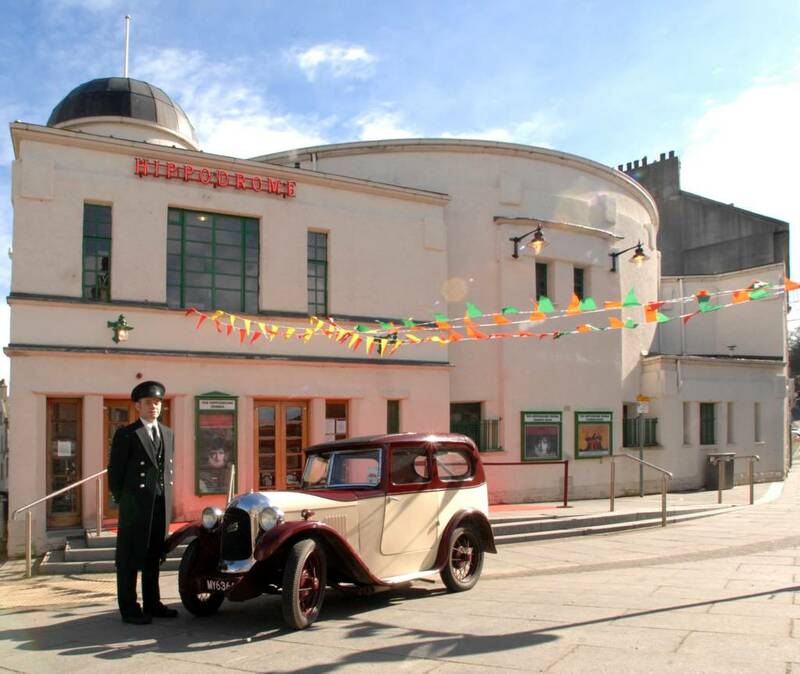 I’d also recommend you take a look at the adventurous lineup of the Kennington Bioscope in London, and Scotland’s Hippodrome Silent Film Festival, which comprises favourites such as Laurel and Hardy with less familiar silents, including films from China or lesser-known British movies. If you’re hiring a print, and paying a musician (or several) a silent film screening is not cheap to run, which means the tickets may be more expensive than usual. So it’s worth thinking about how you could turn the screening into an event. Lots of people love to dress up, and instituting a dress code shouldn’t cost you a penny. You could show a short before the feature, invite a speaker to introduce the film and add context, or hire dancers and actors to provide a live performance as a prologue. If you have a special venue, emphasise that in the marketing. 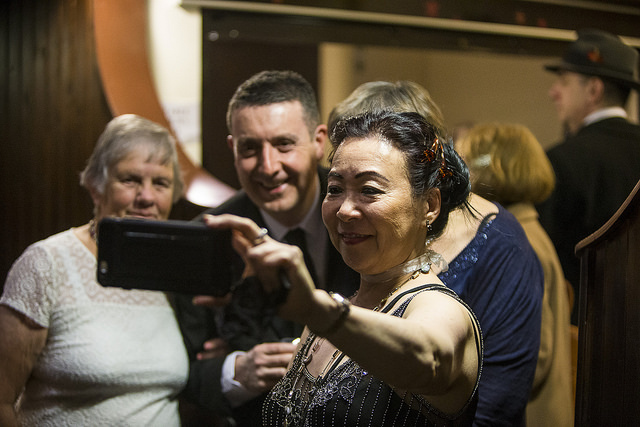 More people will be more tempted by the idea of trying a “silent movie night”, than a simple screening of an old film – and if they enjoy themselves, they will bring their friends next time. Imagine this is your audience’s first experience of silent cinema. If they don’t enjoy it they won’t come again. And with so many competing events, especially in big cities, people have plenty more options. It’s worth remembering that if people give up their evening to try something new, they will be frustrated if they feel they haven’t had a complete, or in some way authentic experience. Making people squint at a fuzzy image on a small screen is no way to convert them to the magic of silent cinema. What I am saying is: if you think that a silent film screening is a cheap, easy option, you probably shouldn’t bother (I once had to persuade the organiser of an event not to stream the film from YouTube). You owe it to your audience to find the best quality print you can. That’s not as hard as it once was. And make sure your audience are well informed about the film and see it in its optimum condition, or as close as you can get. Most importantly, we are very lucky in Britain to have some of the best silent film accompanists in the world – so hire them. Now you know there is a listings site for silent cinema events in the UK, that is one place you can advertise, but if you want to find new audiences, you may have to get creative. If your film is slightly unfamiliar, or you aren’t accustomed to screening silents in your venue, you may have to raise awareness of the film, and let people know why you’ve chosen it, as much as simply advertise. As you are going to have to get the word out early if you are showing something out of the ordinary, you may consider placing articles on blogs and in local papers too. This all helps to build a sense of your screening as a must-see event. You may find it useful team up with another programming collective and there are masses these days, including some such as South West Silents, which specialist in this field. Social media is probably your friend too – you may have noticed that silent movies translate very well into gifs here. Bear in mind that your friendly silent film bloggers may be willing to help promote your events, but it will probably take a bit more than their unpaid labours to fill your screening. Registration is open until 9 November for our Archive Screening Day, taking place at BFI Southbank on 29 November. You can also purchase a public ticket (£6.50) for our Women in Silent Film Comedy panel.